The bold green sign with chirpy font is an immediate draw to passersby along the understated stretch of Dixie Highway in Lake Worth. Once inside, the array of lush green plants and bright flowers, coupled with soothing music, creates a very different scene from the bustling street outside. 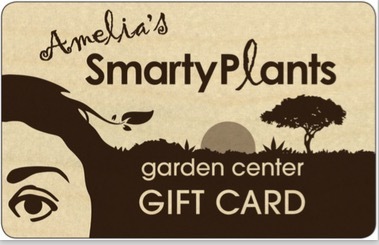 That's exactly the point, say Marta Edwards and Paul Harding, owners of Amelia's SmartyPlants at 1515 N. Dixie Highway. The 2-acre garden center that opened Nov. 3 is the couple's first foray into the retail business . The two have owned a landscaping company, AmeliaScapes, for six years. "We're a landscaping company trying to evolve," Edwards said. "We know that people need plants even in a bad economy and that people want a beautiful home, and we wanted to help with that." She added that starting the garden center seemed "like such an easy and simple dream on paper, but it has been tough." Indeed, opening a garden center in late 2010 is no easy feat, although industry experts say there's reason for optimism. "It's been a rough two years for garden centers because of the economy," said Sarah Martinez, managing editor for Garden Center magazine. "Beautiful plants and outdoor living aren't a must-have." Gardening and garden centers became popular in the mid-1990s thanks to the buying power ofBaby Boomers and as Martha Stewart and others made gardening a lifestyle issue. But in recent years, independent garden centers in particular have faced numerous challenges, such as the slowdown in consumer spending during the recession, big box competition and a younger generation of consumers who may not have grown up gardening like Baby Boomers did, said Jennifer Polanz, editor of the Today's Garden Center magazine. But Martinez added that, because some long-standing garden centers closed in the past few years — including all of Target's garden centers — it's left space for a new crop of retailers to plant their seeds. "We have faith in this Lake Worth community," Harding said. "We really enjoy our jobs and we really know plants, and we think people will see that." Thanks to the localvore movement and the trend in people growing their own produce, Martinez and Polanz say they expect to see an increase in popularity of independent garden centers. Still, Polanz cautioned that independent garden centers need to think about how they are going to differentiate themselves because just selling plants won't cut it in this competitive environment. "A retailer in the South has to be creative in their product mix and services to be able to combat the lowprices of the box stores," Polanz said. Martinez agreed, noting that some big box retailers sell plants below cost to get customers in the door and pointing out that there are a number of nurseries in South Florida that customers can purchase plants from directly. Amelia's SmartyPlants' owners know they are getting into a rocky business, but they say they're ready. They say they are focusing on carrying items that customers say they want, and are focusing on organic products and items made in the United States to support the economy and the environment. They are planning on expanding their fruit and vegetable lineup to cater to people who want to grow their own food. "We aren't going to stop living just because people say it's a bad time to open a business," Harding said. "We're just getting the pulse on this place now. This is a living project. We are going to grow and change to meet our community's needs."